Liquid hydrogen: Storage efficiency was estimated from the literature. Liquefaction of the oxygen by product for transmission was flow-sheeted, taking advantage of pressurisation of the electrolyser. Carbon-based liquid fuels: Flow-sheets were prepared for methanol; low toxicity mixed alcohols (e.g. ethanol); and gasoline made from methanol. An economic model showed the range of NG prices, electricity prices and CO2 trading prices for which the methanol process (coupled with CCGT generation and CO2 capture) would be competitive against CCGT generation from NG without CO2 capture. 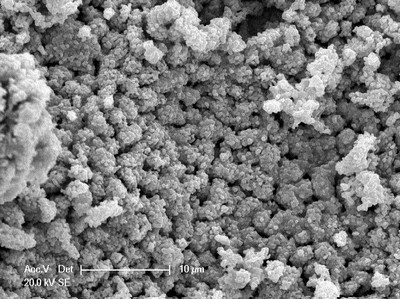 Sponge iron: Although this technology is still at the laboratory scale, it has the potential for greater energy efficiency than the others and is coincident with cheap carrier particles. Liquid fuels require a source of carbon, which could be carbon dioxide or biomass. CO2 may be recovered from, for example, power stations or natural gas, shipped to the location of the marine resource, and reacted with H2. Alternatively, biomass may be gasified using the oxygen by-product from electrolysis; and the resulting syngas supplemented with H2 from electrolysis, then reacted to alcohols. Certain reactor designs permit operation with variable feed, for which dynamic simulations have been performed in collaboration with WP4. Combining biomass with the products from electrolysis promises improved biomass conversion to methanol, as well as reduced costs and CO2 emissions. Direct electrochemical reduction of CO2 in the presence of water also produces alcohols, and should accommodate the variability of marine energy more effectively. Different chemical media were tested for their capacity to store and return marine energy economically, and the prospects and enabling mechanisms for chemical storage were identified.